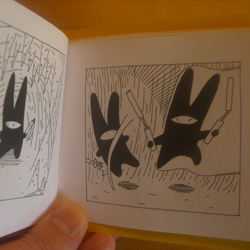 In Ninja Bunny's first story he has to contend with the elements as he struggles in a battle against a giant sized bunny intent on turning him into a pancake. 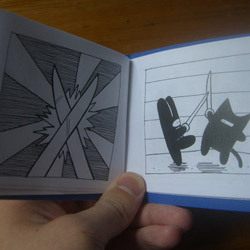 Handmade, black and white, 19 pages with card cover. 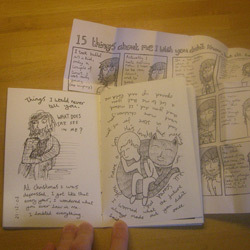 This comic features an extended version of the wind, rain and thunder storyline from the webcomic. 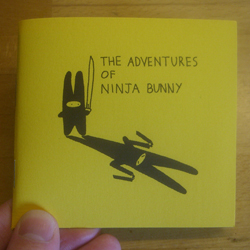 Ninja Bunny's third adventure sees him running for dear life against a fatal enemy...himself! 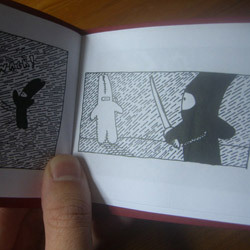 An action packed adventure set in the Cave of Destiny reveals more of our heroes past and future as nunchucks and swords clash. 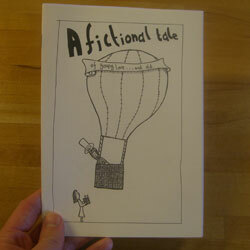 Handmade, black and white, 36 pages with card cover featuring a brand new story never released on the web. 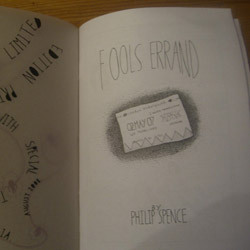 Reviewed by Forbidden Planet. 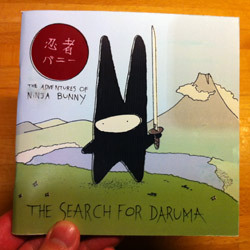 Ninja Bunny's fourth adventure sees him searching for the mystic Daruma, but first he must battle his guardian Kisho. 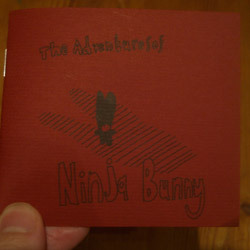 Published by Calverts. 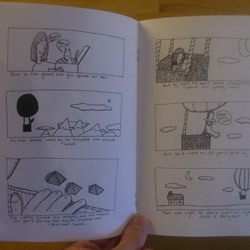 Full colour, 40 pages, each one is numbered from a run of 200. 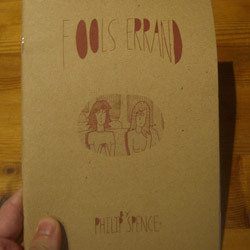 Reviewed by Forbidden Planet. 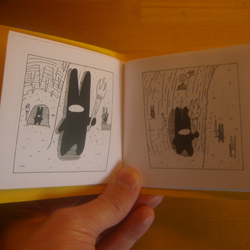 Full details of size/print can be found on Calverts. 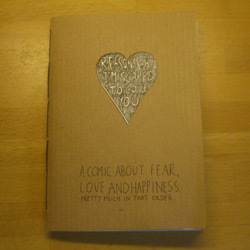 An autobiographical love letter about fear, love and happiness. 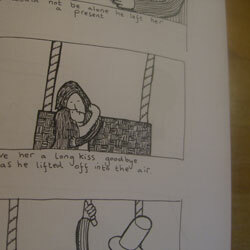 At least that's how it was meant to be, instead more about heartache and breakup. 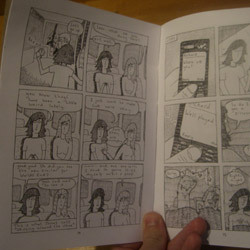 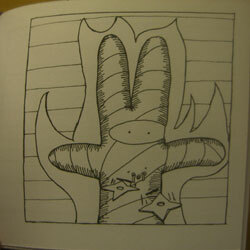 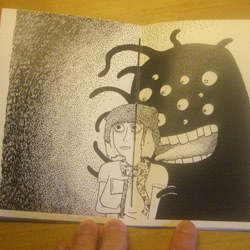 A 20 page mini-comic, featuring illustrations, stekches and strips. 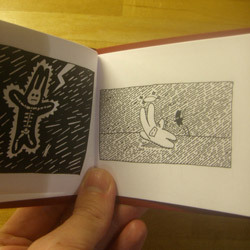 Each page is printed on a different type of paper lovingly bound by hand stitch. 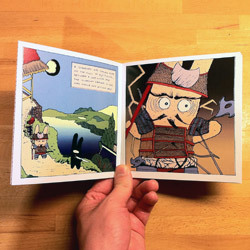 The comic features a fold-out page and a pull out poster in the back.